A good tool can make it easy to fix a broken removable hard disk, which is not working/not detected by the computer. Being able to be carried around everywhere and used anytime, the removable hard disk is favored by people of all ages. Because of its portability, the removable hard disk is often used on a variety of computers and other devices. This greatly increases the chances of a disk failure. Therefore, when you finally get a broken hard drive, it is not surprising. Well, my topic today is how to fix a broken removable hard disk. If you’re one of the victims bother by the removable hard drive not working or external hard drive not detected problem, please keep reading patiently. Step 1: connect the broken hard drive to a computer to see whether it appears. If it doesn’t appear in Windows Explorer, please open the Disk Management to check. If you find the removable hard disk not showing up in Disk Management, please try other USB ports on the same computer or connect it to another computer directly. Anyway, as long as you can make the disk appear in Windows Disk Management, you can continue external hard drive recovery. 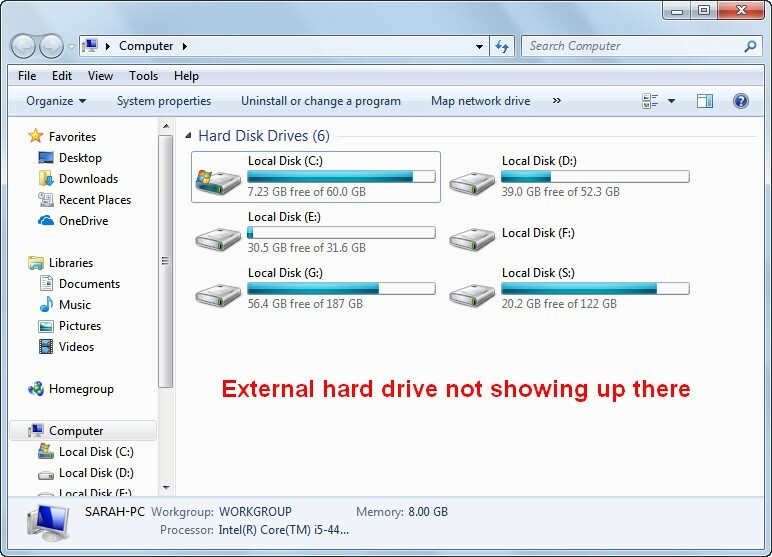 Click to know more details about hard disk not working issue. 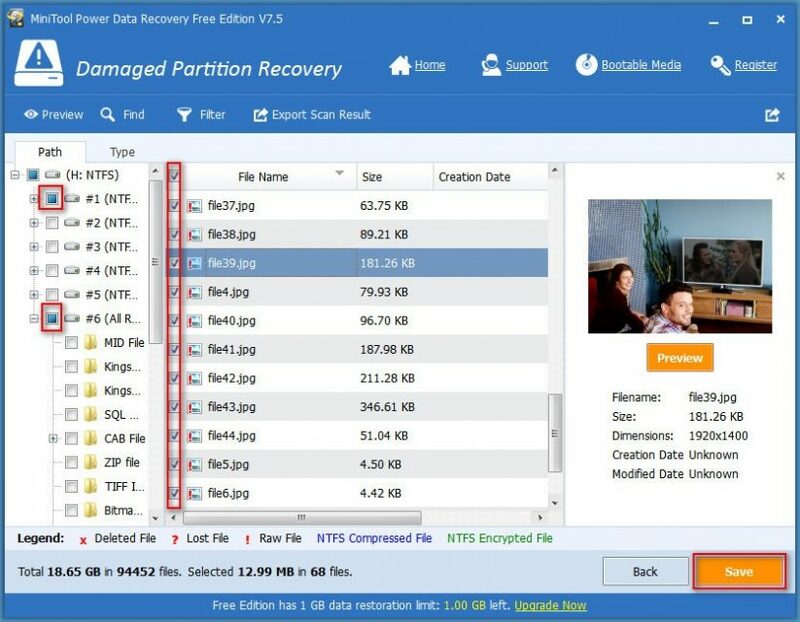 Step 2: choose a reliable recovery tool to recover data from removable hard disk. 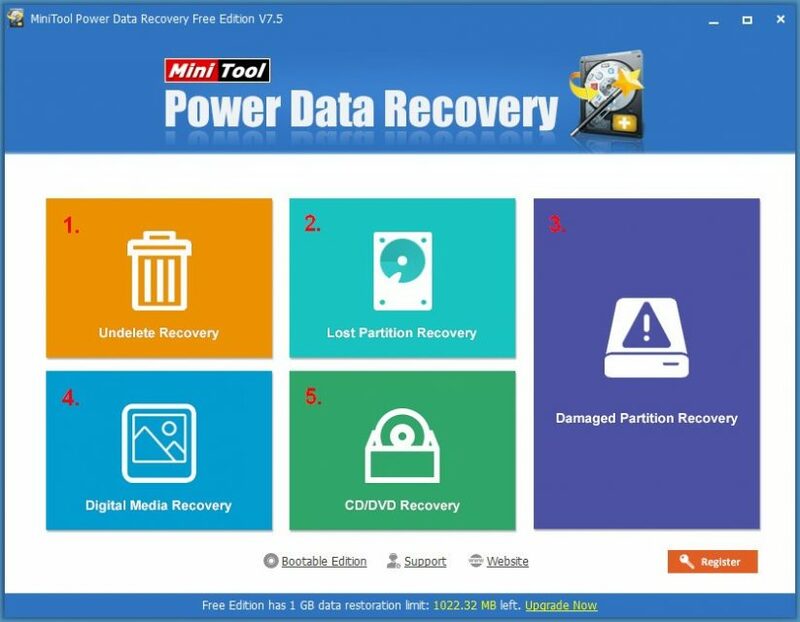 Among so much third-party data recovery software, MiniTool Power Data Recovery is a good choice; its free edition is totally clean & safe and able to help you get back no more than 1GB of data. Just get the setup program and get it installed on the computer properly. Now, connect the broken removable hard drive to this computer and launch the software immediately. Step 3: choose a suitable one from the five functional modules listed in the main interface. If you find the removable disk shows as unallocated in Disk Management, please select “Lost Partition Recovery” to recover data from unallocated disk space. 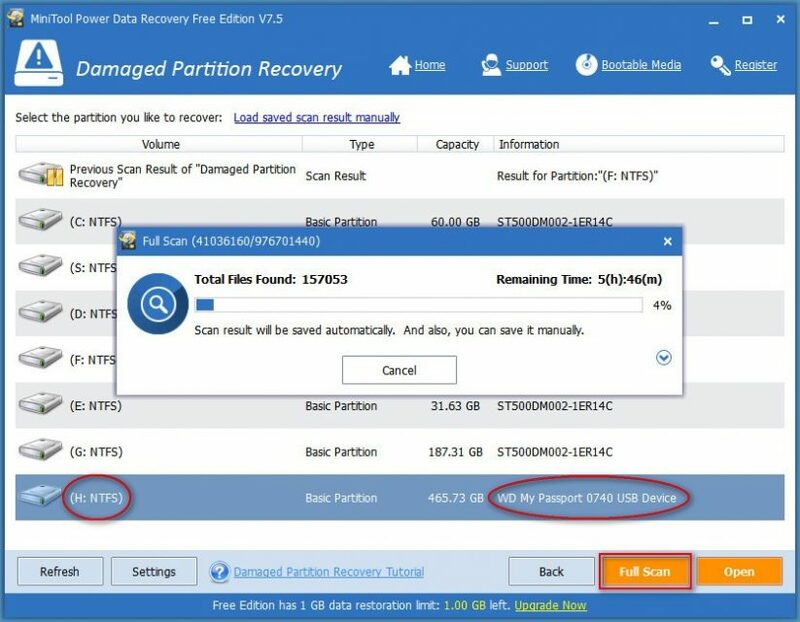 If you find partition (partitions) still exist on the hard disk, please select “Damaged Partition Recovery” recover data from damaged external hard drive. Step 4: wait for the full scan until the scan result is presented in front of you automatically. Now, please take a closer look at the found items so as to pick out which ones you want to recover. Check them one by one carefully and then, press the “Save” button to set a storage location for them. When all files are saved to the specified place, the external hard drive data recovery is done. Step 5: there’s still one step away to completely fix the hard disk not working problem – reformatting the hard drive or try any other possible means to make the drive working well. 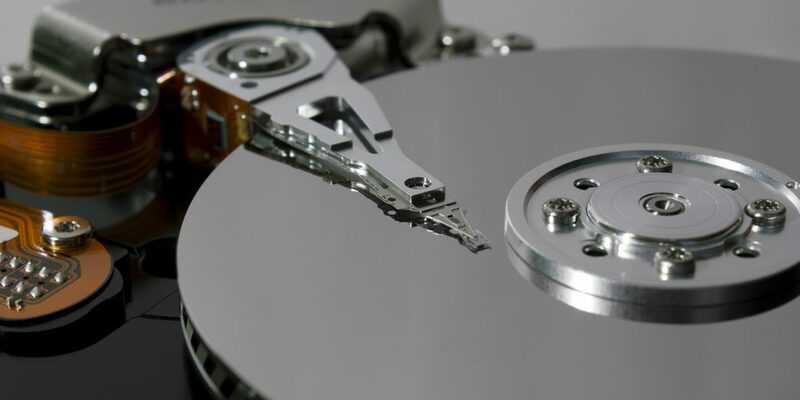 Click here if you’re interested in fixing a physically broken hard drive. After telling you the way to fix a broken removable hard disk, I’d like to introduce the common physical threats to a hard drive. By knowing them, you can greatly avoid the hard disk drive failure. Dust accumulation: it’s evident that a hard drive could be damaged if serious dust accumulation is found on hard drive. First of all, the dust deposited on the circuit board of hard drive can seriously affect the heat dissemination of circuit board chip. Thus, the temperature of components on circuit board will rise, leading to chip overheating and burning. Secondly, the short circuit is likely to be caused if the dust absorbed moisture. Improper temperature: the working status and service life of the hard drive is closely related to temperature. Clock frequency of crystal oscillator will be changed no matter the temperature is too high or too low and this will cause circuit component failure. However, the vibration of some low-grade fan is very strong during the working time and this vibration can be passed to the hard drive. And it will definitely have a bad impact on the service life of hard drive in the long run. Meanwhile, this kind of rotation will certainly raise the temperature of optical dive thus changing the hard drive working temperature. Static electricity: in the course of operating computer hardware, a lot of people tend to hold the hard drive directly with hand. However, in dry weather, thousands of volts of static electricity may be accumulated on human hands and it may penetrate the circuit board chip, and finally result in hard drive failure. Insufficient power supply: if there is something wrong with the power supply while the hard drive is performing write and read operation, this hard drive can be destroyed in just a moment. Magnetic field: if the hard drive is subjected to magnetic interference of the external environment, hard drive data loss is easy to be brought since the hard drive is a device recording data by relying on magnetic media. So please put your hard drive away from the magnetic environment as far as possible. Anna Lan is an editor running a blog on MiniTool Solution. . Anna likes to write articles about tech stories, trouble shooting tips and software tutorials. Anna also enjoys giving readers suggestions on how to solve computer issues. You can connect with Anna on Twitter.